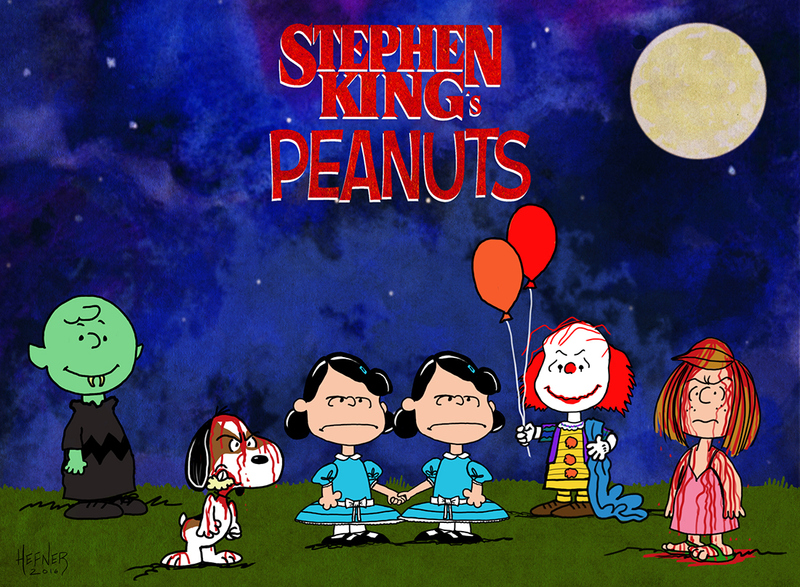 Illustrator Hal Hefner created this great double homage to Charles Schulz and Stephen King. It does seem as if he missed an opportunity to put Marci in a denim jumper and holding a sledgehammer, though. Be sure to check out his site Consume Pop Culture for lots of other delightful visual commentary.